Turning Prepared Hide into Leather requires a Barrel of Tannin. Once filled to your desired amount, place the Prepared Hide into the Barrel and seal it. You will not be able to open the Barrel until the process is completed. Once complete there will be Leather in the Barrel. To open the leather working interface, right click with Leather in hand and a Knife on the hotbar. This will open up an interface similar to that of the knapping interface. If true then the vanilla Minecraft recipes for creating leather armor are enabled. 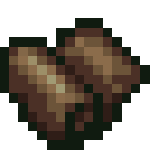 In addition, a recipe is added for converting TFCraft leather to the vanilla version. Pigs drop leather in addition to pork. Added new leather working process. Added new GUI for making leather armor. Recipe added to convert TFC leather into Vanilla leather if vanilla recipes are enabled in the config. This page was last modified on 8 October 2014, at 02:44.